The 2013 Symetra Tour schedule continues to look bright with the announcement today that Volvik, known as the leader in the colored performance golf ball market, will sponsor the inaugural Volvik Championship. Set to take place September 16-22 at Reunion Resort, a Salamander Golf & Spa Resort, in Orlando, Fla., the Volvik Championship will feature some of the best up-and-coming stars on the Road to the LPGA competing for a $100,000 purse. The Volvik Championship further expands Volvik’s partnership with the Symetra Tour as they are also the “Official Ball” of the tour and title partner of the “Volvik Race for the Card’. The 2013 Volvik Championship will take place on Reunion’s Palmer Course and serve as the penultimate event on the Symetra Tour schedule and could potentially play a pivotal role in determining the top-10 on the final Volvik Race for the Card standings. The year-long race will end the week following at the Symetra Tour Championship in Daytona Beach, Fla. where the top-10 at the conclusion of the tournament will earn fully-exempt status on the 2014 LPGA Tour. “With Volvik being the #1 color golf ball on tour, it makes perfect sense to not only introduce this new event to the Symetra Tour schedule but to play it at Reunion Resort in Orlando, just a short drive from Volvik’s headquarters,” said Volvik USA President, Don Shin. This year marks the second year in the Tour’s 33-year history that the top-10 Symetra Tour players on the season-ending Volvik Race for the Card standings will earn fully-exempt LPGA Tour status for the following year. Reunion Resort, which is part of Salamander’s new Grand Golf Resorts of Florida collection, has a rich history of hosting professional golf tournaments, including an LPGA Tour event from 2006 to 2008 and the Legends Tour’s 2012 ISPS Handa Cup. Site of the ANNIKA Academy, it is the only location in the world which features Signature course designs by Arnold Palmer, Jack Nicklaus and Tom Watson. The Symetra Tour – Road to the LPGA, is the official developmental tour of the LPGA and enters its 33rd competitive season in 2013. With the support of its umbrella partner, Symetra, the Tour’s mission is to prepare the world’s best young women professional golfers for a successful career on the LPGA Tour. 2013 marks the second season that the top-10 money winners will receive full, equal status for the following season on the LPGA Tour. With more than 500 alumnae moving on to the LPGA, former Symetra Tour players have won a total of 371 LPGA titles, including 40 major championships. Symetra Tour events have contributed more than $5 million to charitable organizations throughout the nation since 1989. Follow the Symetra Tour on the web at www.SymetraTour.com, Facebook.com/RoadtotheLPGA, Twitter.com/Road2LPGA, and YouTube.com/Road2LPGA. Managed by Salamander Hotels & Resorts, the AAA Four Diamond-rated Reunion Resort located in Orlando offers premier multi-bedroom villas, highlighted by the 96-suite main hotel with a stunning lobby; and luxury private homes, each with lavish appointments and exquisite decor. 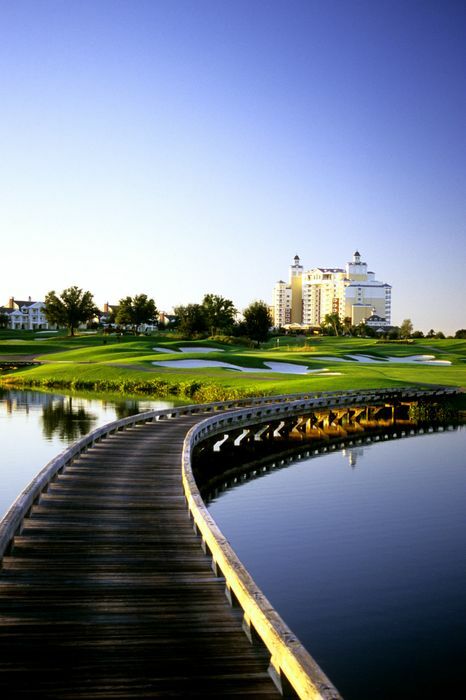 Part of the Grand Golf Resorts of Florida collection, Reunion Resort is the only location in the United States with golf courses designed by the golf greats Jack Nicklaus, Arnold Palmer and Tom Watson and also features the exclusive ANNIKA Academy by Annika Sörenstam. Reunion Resort features 330 resort accommodations including luxury condominiums, private villas and vacation homes surrounded by 2,300 acres of lush landscape and nature preserve, elegantly appointed meeting space, a full-service boutique spa, multiple pools, slides, water playgrounds and a 1,000-foot lazy river. For additional information call 407-662-1000 or visit www.reunionresort.com.